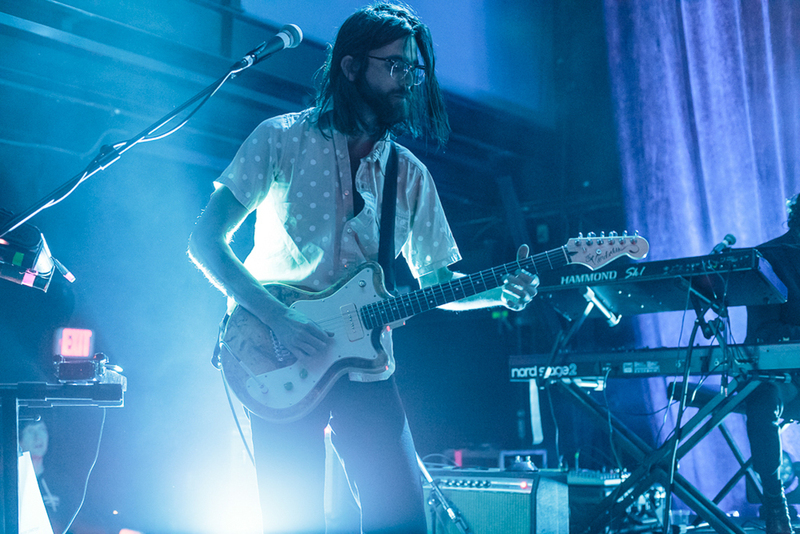 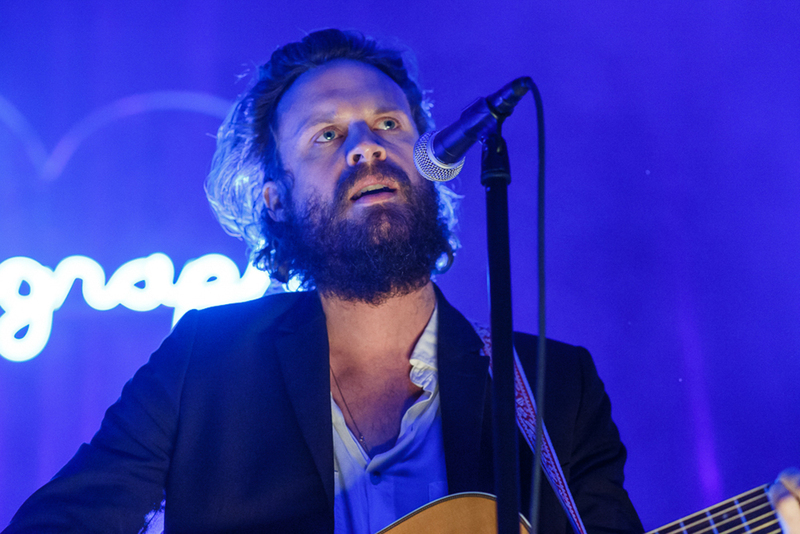 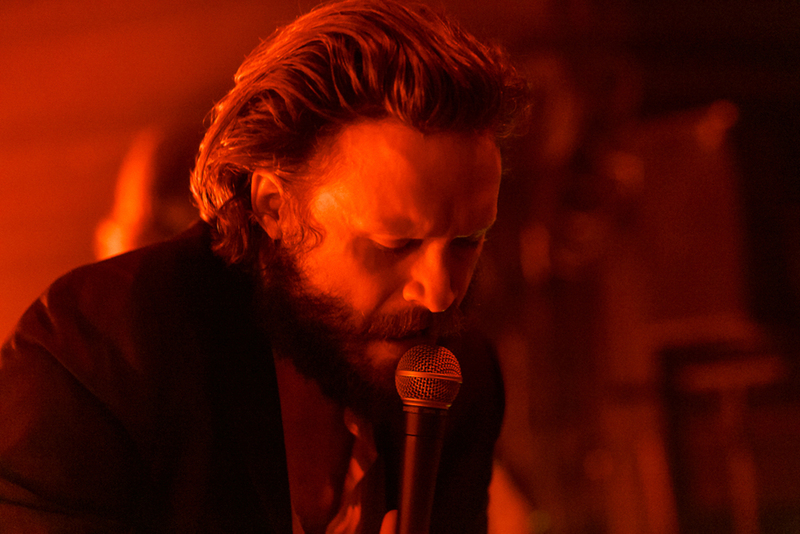 On Saturday night, Father John Misty aka Josh Tillman, returned to the 9:30 Club to perform songs from his sophomore album, I Love You, Honeybear. 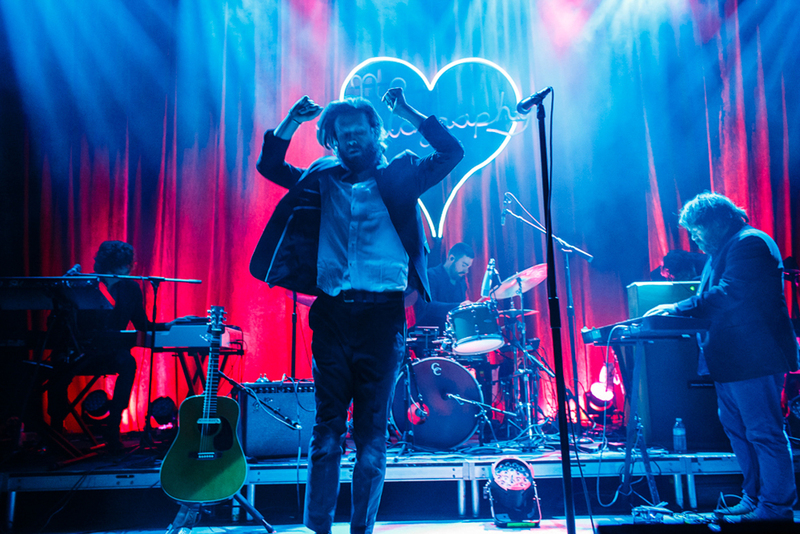 Through an epic two hour long, 20 song set, Misty and his six-piece band played through most of the tracks from both of his albums to the sold-out club, along with a cover of Leonard Cohen’s “I’m Your Man” (complete with keytar) during the encore. 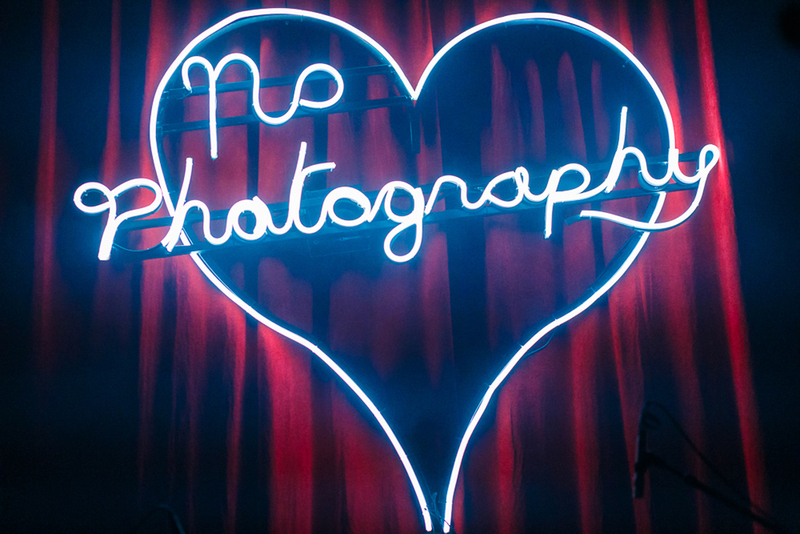 And even though his faux-disdain for any and all attention was on full display under a neon 'No Photography' sign that begged to be Instagrammed, the crowd couldn't get enough. 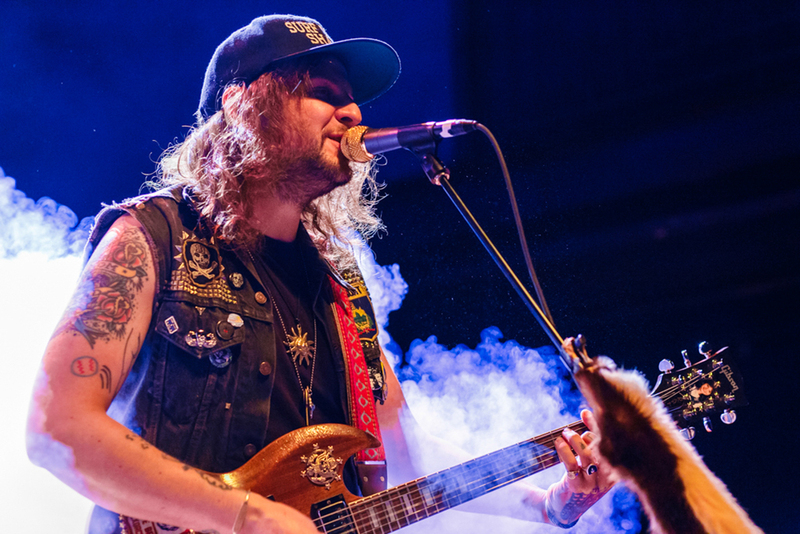 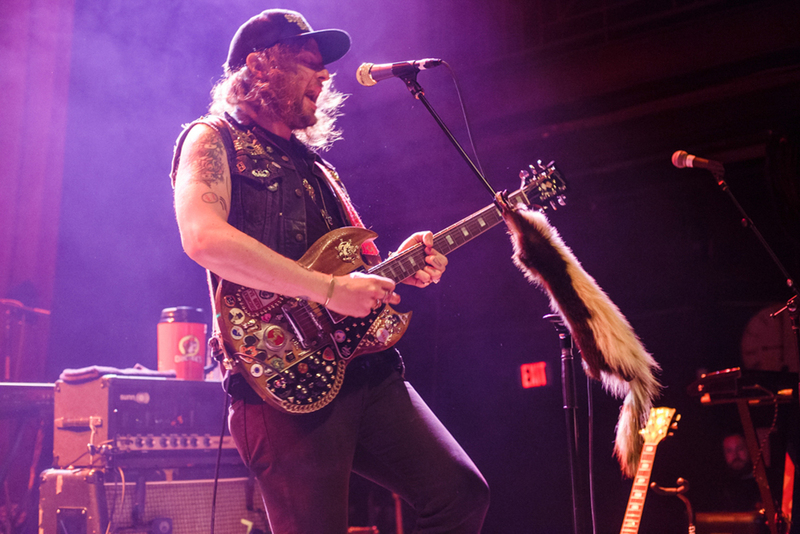 Opening the show, King Tuff brought his unique combination of garage rock attitude and power pop sensibilities to bear through a blistering set of tracks from his most recent album, and first release on SubPop, Black Moon Spell. 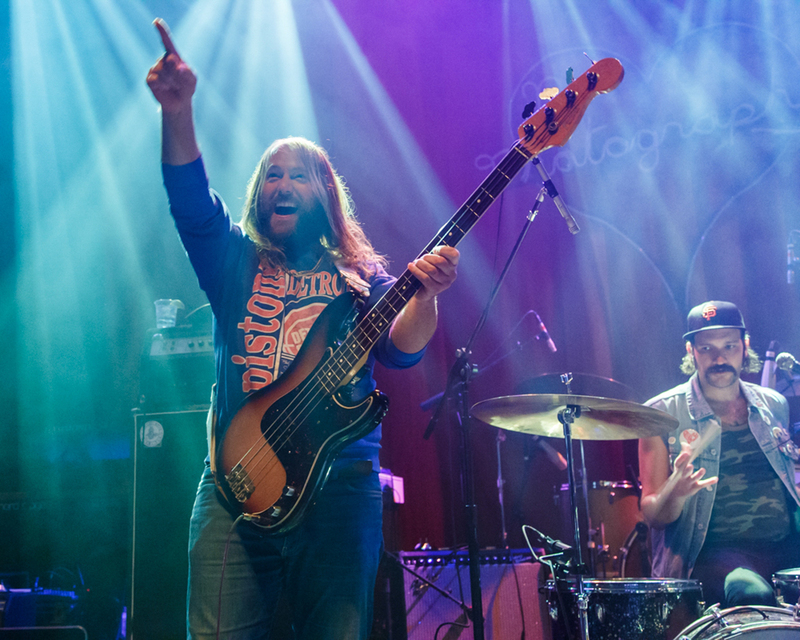 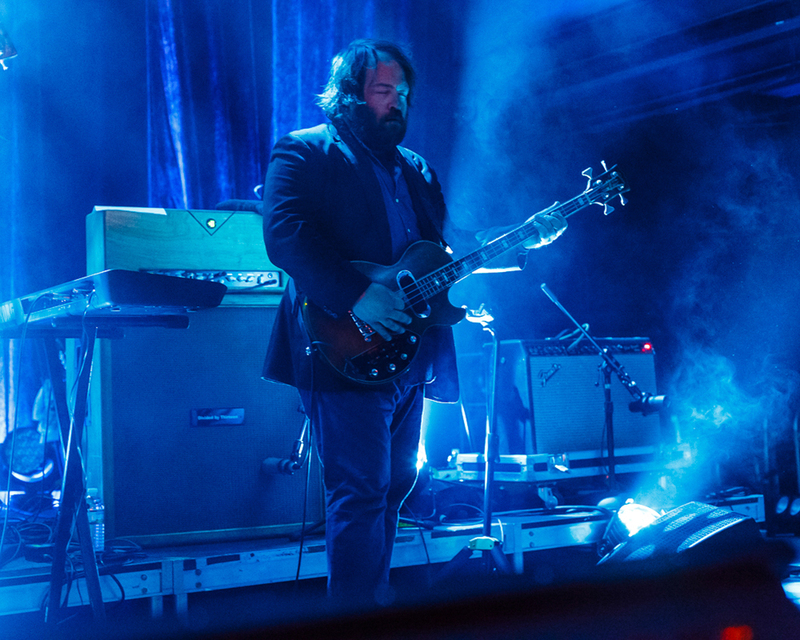 With his compatriots Magic Jake on bass and Garett Goddard on drums, Tuff wove his spell over an enthralled audience. 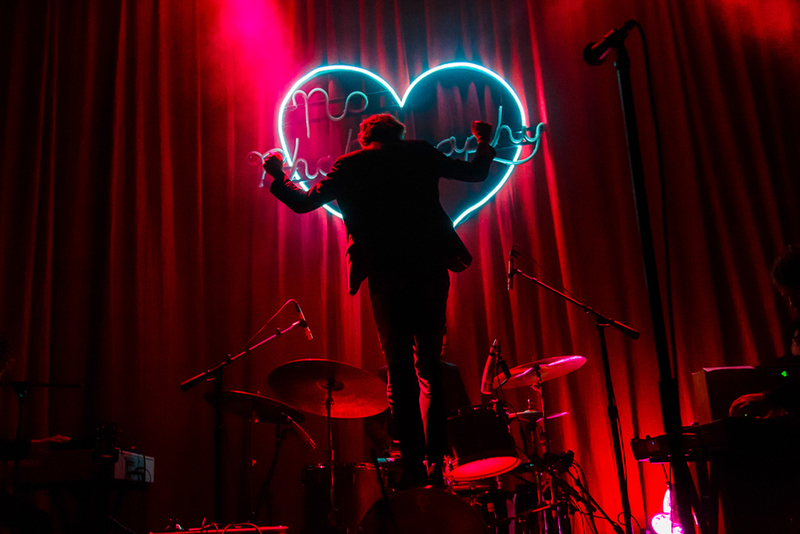 All photos by Matt Condon.